This week, the Augustinian Provincial Chapter met at Villanova choosing new leadership to assist newly installed Prior Provincial Michael Di Gregorio, O.S.A. in service to Province members and the Church for the next four years. Elected as members of the Provincial Council are the friars Arthur Purcaro, Francis Doyle, Robert Hagan, Raymond Dlugos, Craig McMahon and John Deary. Chosen as Secretary and Treasurer of the Province are, respectively, friars James McBurney and Francis Horn. These newly elected officials were confirmed in office immediately after their election by the President of the Chapter, Alejandro Moral Anton, O.S.A., Prior General of the Order. On June 15, 2018, our brother Bryan Kerns, O.S.A. was ordained to the priesthood in Saint Thomas of Villanova Church, Villanova, PA., by Archbishop Charles Chaput, OFM Cap. 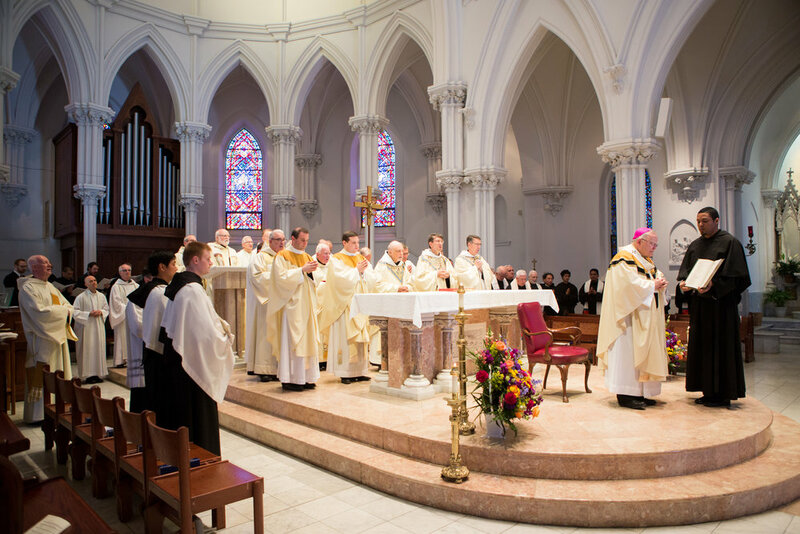 The ordination took place at the conclusion of the Ordinary Provincial Chapter of the Villanova Province and was an uplifting, joyful conclusion to a very positive week of Augustinian fraternity. Father Bryan will celebrate his first Mass on June 16, 2018 at 6pm at Saint Thomas of Villanova Church, Villanova, PA. Newer PostFr. Michael Joseph Scanlon, O.S.A.